Federal publications about hazardous materials, bioterrorism, chemical warfare and response, including Chemical-Biological-Radiological-Nuclear-Explosive (CBRNE) incidents, clean-up and response. 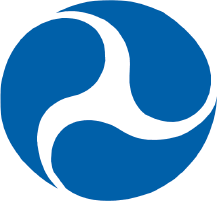 The Department of Transportation (DOT) Pipeline and Hazardous Materials Safety Administration (PHMSA) provides resources and links related to hazardous materials transportation safety and security. Carries out a national safety program, including security matters, to protect against the risks to life and property inherent in the transportation of hazardous materials in commerce (other than bulk transportation onboard vessels). 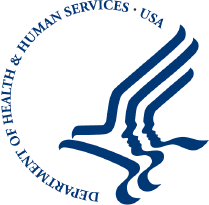 The Agency for Toxic Substances and Disease Registry (ATSDR) ToxFAQs™ is a series of summaries about hazardous substances developed by the ATSDR Division of Toxicology. Information for this series is excerpted from the ATSDR Toxicological Profiles and Public Health Statements. Each fact sheet serves as a quick and easy to understand guide. Answers are provided to the most frequently asked questions (FAQs) about exposure to hazardous substances found around hazardous waste sites and the effects of exposure on human health. The Environmental Contaminants Encyclopedia, last updated in 1998, summarizes information about 118 environmental contaminants and serves as a quick reference for determining whether or not concentrations are above levels that might affect living things. The encyclopedia includes information related to fish, wildlife, invertebrates, and other non-human living resources. Contaminant effects on humans were only included when it helped with general understanding. The core purpose of the Disaster Information Management Research Center (DIMRC) is to develop and provide access to health information resources and technology for disaster preparedness, response, and recovery. Our intent is to connect people to quality disaster health information and foster a culture of community resiliency. DIMRC is tasked with the collection, organization and dissemination of health information resources and informatics research related to disasters of natural, accidental, or deliberate origin. Environmental Protection Agency (EPA) Chemical Safety Alert Publications. 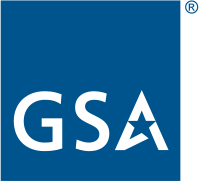 Provides the latest news and knowledge on hazards mitigation and disaster preparedness, response, and recovery. The Howard Hughes Medical Institute is pleased to collaborate with the National Academy of Sciences in making the 88 Laboratory Chemical Safety Summaries (LCSSs) prepared by the National Research Council, Committee on Prudent Practices for Handling, Storage, and Disposal of Chemicals in Laboratories, available on the world wide web. Provides news, medical references, site guides and training. The U.S. Army Medical Research Institute of Chemical Defense (USAMRICD) is the nation's leading science and technology laboratory in the area of medical chemical countermeasures research and development. 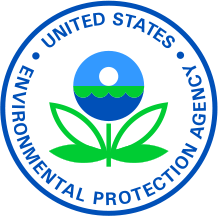 Publicly available Environmental Protection Agency (EPA) database containing information on chemical releases and waste management activities. Addresses hazardous materials incidents in hospitals, clinics, and other healthcare locations. Free stuff for the "HazMat Laptop". 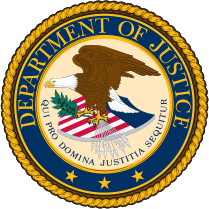 The U.S. Chemical Safety and Hazard Investigation Board, also known as the Chemical Safety Board or CSB, is an independent U.S. federal agency charged with investigating industrial chemical accidents. Learn what actions to include in your family disaster plan to prepare for and respond to such incidents. A U.S. Coast Guard (USCG) reference/job aid designed to provide quick access to the capabilities of various special teams specifically related to oil, hazardous materials (hazmat) and weapons of mass destruction (WMD). Summarizes the 2003 Hazardous Materials Roundtable sponsored by the International Association of Fire Chiefs (IAFC). Current/emerging hazmat issues are discussed; plans for federal and IAFC action are developed. An online database of fire service and emergency management topics. Public health resources and tools for the public and healthcare, response and recovery workers. The website is frequently updated based on emerging hazards and current events, such as natural disasters (e.g., hurricanes), bioterrorism, or disease outbreaks. Preparedness, health and safety, and response resources for a variety of natural disaster and severe weather events, to include earthquakes, extreme heat, floods, hurricanes, landslides/mudslides, lighting, tornadoes, tsunamis, volcanoes, wildfires, and winter weather. Emergency Preparedness and Response for Anthrax. Resources to help the emergency response community prepare for and respond to a fourth generation agent incident. Fourth generation agents, also known as Novichoks or A-series nerve agents, belong to a category of chemical warfare agents that are unique organophosphorus compounds. Guide produced by the Pipeline and Hazardous Materials Safety Administration (PHMSA). The Chemical Hazards Response Information System (CHRIS) is designed to provide information needed for decision-making by responsible U.S. Coast Guard (USCG) personnel during emergencies that occur during the water transport of hazardous chemicals. Fact sheets, statutes, regulations, policies, frequently asked questions (FAQs), etc. Provides information on Emergency Planning and Community Right to Know Act (EPCRA) and links for various planning purposes. 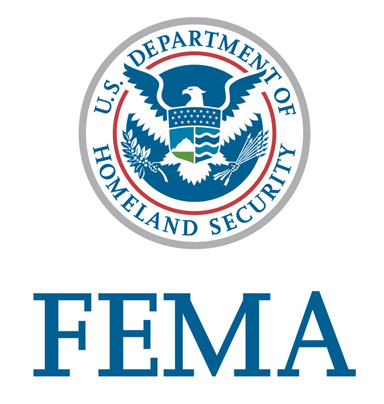 Overview of the Federal Emergency Management Agency's (FEMA) Chemical Stockpile Emergency Preparedness Program (CSEPP). A round-the-clock resource for obtaining immediate critical response information for incidents involving hazardous materials and dangerous goods. The Sheffield Chemdex: the directory of chemistry on the world wide web since 1993. Computer-Aided Management of Emergency Operations (CAMEO) is a system of software applications used to plan for and respond to chemical emergencies. Developed by the Environmental Protection Agency (EPA) and the National Oceanic and Atmospheric Administration (NOAA) to assist front-line chemical emergency planners and responders, CAMEO can access, store, and evaluate information critical for developing emergency plans. Part of a series of fact sheets produced by the NRT Science & Technology Committee on in-situ burning (ISB); Provides guidance on the residues produced from in-situ burning of oil on water; Intended to assist RRTs, On-Scene Coordinators (OSC), and other regional and local staff involved in ISB. The following site safety plan was written to assist the RRTs and On-Scene Coordinators (OSCs) in responding to a marine/open water spill. The plan includes those elements unique to in-situ burning (ISB) for response personnel. Topics addressed include: burn entry objectives, response organization, burn area control, hazard evaluation, personal protective equipment (PPE), decontamination procedures, etc. Provides information on site safety planning specific to in-situ burning. Safety hazards for in-situ burning (ISB) operations are similar to those of mechanical response operations at sea, with additional hazards related to the burning of oil. In order for in-situ burning (ISB) to be an effective spill response tool, oil thickness must be between 2-3mm. Most response plans for ISB at sea call for the use of fire resistant boom to contain the oil and maintain this minimum slick thickness during the burn. This fact sheet explores the current state of fire boom technology, existing protocols and standards, and future research and development needs. Updated since 1996, this compilation of references is intended to provide the user with information on in-situ burning (ISB) that may be useful or interesting. Provides general information on how the hazardous waste management regulations implementing the Resource Conservation and Recovery Act (RCRA) may apply to the in-situ burning (ISB) of oil spills. Provides an overview of National Ambient Air Quality Standard (NAAQS) regulations under the Clean Air Act (CAA) and briefly discusses how such provisions may affect the use of in-situ burning (ISB). Identifies relevant local contacts with which to consult. Often, the window of opportunity for a burn may be only a few hours. Igniter systems, which are critical to the success of any in-situ burning (ISB) event, need to be safe, effective, convenient to use and store and easy to mobilize. This fact sheet provides background on oil slick ignition, past and current igniter technology, recent research and development efforts and future research and development needs. Despite the minimal hazards posed by soot and gas, thick black smoke produced in an in-situ burning (ISB) appears threatening, eroding public confidence in the safety of the process. This fact sheet identifies techniques to enhance ISB. Most notably, providing the necessary air to a burn avoids starved combustion of oil, thereby reducing the emission of hazardous smoke and soot, and shortening response time. Designed to assist RRTs in developing oil spill contingency plans, this fact sheet examines acceptable exposure limits to hazardous particulates for both the general public and responders. It also discusses other risk factors, monitoring and sampling strategies, and identifies future research priorities. Provides recent information on in-situ burning (ISB) for consideration as an alternative technology to present cleanup methods such as mechanical recovery or dispersants. This Environmental Protection Agency (EPA) identifies the special fire or explosion hazard storage tanks containing flammable substances may represent in the event of a lightning strike, a spark, that might otherwise cause little or no damage. The alert discusses how to minimize such hazards and provides further resources on lightning protection, statutes, regulations, codes and standards. National Fire Protection Association (NFPA) Homepage. The National Interagency Fire Center (NIFC), located in Boise, Idaho, is the nation's support center for wildland firefighting. After Environmental Protection Agency (EPA) review, products may be listed on the National Oil and Hazardous Substances Pollution Contingency Plan (NCP) Subpart J Product Schedule (Product Schedule) in accordance with 40 CFR 300.900 et seq. The listing of a product on the Product Schedule does NOT mean that EPA approves, recommends, licenses, certifies, or authorizes the use of that product on an oil discharge. Additionally, the listing of a product on the Product Schedule does not mandate the use of that product by the Federal On-Scene Coordinator (FOSC), state, industry, or any oil spill response organization. 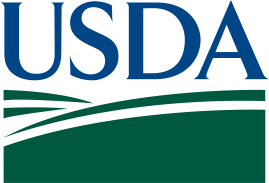 Only a FOSC may authorize the use of a product that has been listed on the Product Schedule. RRTs and Area Committees may predetermine the suitability of using a product at a particular location, provided that product is listed on the Product Schedule. In some cases, these “preauthorization zones” have been established for designated areas. 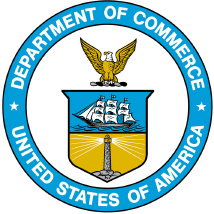 The FOSC may authorize the use of products not already pre-authorized for use in a pre-authorization zone, or may authorize the use of products outside of a pre-authorization zone, under the process established by 40 CFR 300.910. In determining the proper response, the FOSC must consider a number of factors unique to each oil discharge when determining which- if any- products should be authorized for use to address the discharge. No single product has been scientifically proven to work more effectively than other products in all potential discharge response situations. 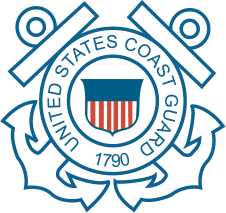 NRT memo to Environmental Protection Agency (EPA) and US Coast Guard (USCG) Regional Response Team (RRT) Co-Chairs regarding recent National Institute of Environmental Health Sciences (NIEHS) and USCG Cohort Studies. 1. Subsea Application Guidance – generally applies to the subsurface ocean environment, focusing particularly on operations in waters below 300 meters and below the average pycnocline. 2. Prolonged Surface Application Guidance – supplements and complements the existing protocols as outlined in the Special Monitoring of Applied Response Technologies (SMART) monitoring program where the duration of the application of dispersants on discharged oil extends beyond 96 hours from the time of the first application. The NRT-RRT Factsheet Application of Sorbents and Solidifiers for Oil Spills is a planning document written by the NRT Science and Technology Committee. It was developed to inform readers of the acceptable use or prohibition of solidifiers listed on the Environmental Protection Agency (EPA) National Oil and Hazardous Substances Pollution Contingency Plan (NCP), Subpart J Product Schedule (Product Schedule) for mitigation of oil spills. This Factsheet will also assist product manufacturers and members of the response community in distinguishing a sorbent from a solidifier for purposes of listing such products on the Product Schedule and applying them in the field. Finally, the document can be used for identifying the benefits and shortcomings of using solidifiers in different situations (e.g., light oil, sheens, heavy viscous oils, low temperature) and contrasting that to the use of sorbents. Use it to simplify your evaluation of non-conventional ("applied") technologies, including chemical and biological products and additives, and in-situ burning (ISB), for real-time oil spill response, exercises, pre-spill planning, or informational purposes. Developed by Region III and IV Response Teams, this guidance is designed to help On-Scene Coordinators (OSCs) and spill responders evaluate in real-time dispersants, surface washing agents, bioremediation agents, surface collecting agents and other miscellaneous oil spill control agents when mechanical measures prove insufficient. Provides guidance to resource management agencies, potential responsible parties (PRP), oiled bird rehabilitators and On-Scene Coordinators (OSCs) on the "best practices" for promoting the welfare of migratory birds during an oil spill response. "Best Practices" strives to enable these parties to make informed decisions by addressing topics including: Area Contingency Plan (ACP) development, evaluation of contractors for bird capture and rehabilitation, and evaluation of oiled bird rehabilitation. This consolidated list or "list of lists" has been prepared to help firms handling chemicals determine whether they need to submit reports under sections 302, 304, or 313 of Emergency Planning and Community Right-To-Know Act (EPCRA); whether they are subject to accident prevention regulations; and what reports may need to be submitted. Special Monitoring of Applied Response Technologies (SMART), a guidance document, recommends monitoring methods, equipment, personnel training, and command and control procedures that strike a balance between the operational demand for rapid response and the Unified Command's (UC's) need for feedback from the field in order to make informed decisions. An information update on the use of bioremediation, a technique that may be applicable in responding to an oil spill under certain geographic and climatic conditions. Bioremediation converts toxigenic compounds of oil to nontoxic products without disrupting the local environment. Emulsification of oil can severely inhibit recovery capabilities of skimmers, reduce pumping volumes, and render non-mechanical techniques less effective. Emulsion breakers (de-emulsifiers) are used to break or prevent the formation of emulsions on the open seas and break recovered emulsions in skimmers and tanks. This fact sheet provides an up-to-date summary of emulsion breaker research, and identifies further needed areas of research. Produced by the Standard Oil Spill Response Management System (STORMS) task force, this Field Operations Guide (FOG) is intended to provide guidance in forming a response management system for oil spills. It is endorsed by Firescope California, is consistent with the National Incident Management System (NIMS) and Incident Command System/Unified Command (ICS/UC) and complies with the National Oil and Hazardous Substances Pollution Contingency Plan (NCP). Provides information on the use of towable, temporary storage devices (TSD) in oil spill response as an immediate temporary storage receptacle, on-site. Discusses the use of chemical dispersants as an oil spill response strategy for open-water application. Reviews past use, effectiveness, toxicity, and mechanics of dispersant. There are four federal agencies with responsibilities under the Oil Pollution Act (OPA) to require vessel and facility response plans: the U.S. Coast Guard (USCG), the Environmental Protection Agency (EPA), the Department of Transportation’s (DOT's) Research and Special Programs Administration (RSPA), and the Minerals Management Service (MMS). In order to assist companies in meeting their regulatory responsibilities to develop training programs for their personnel, the four federal agencies have developed this training reference manual for oil spill response. The contents provide a foundation of suggested subject material for training personnel with responsibilities identified in response plans. The website provides a wealth of information on radiation and radiation emergencies. 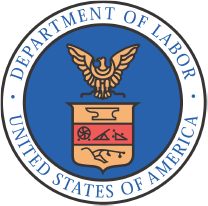 It is intended to help workers and employers who may be involved in emergency response operations or impacted by radiation emergencies, but who do not have emergency response roles. It also introduces workers and employers to hazard assessment and radiation measurement and describes health effects associated with exposure to radiation. To provide planners and responders a better understanding for addressing the unique risks encountered in the post-IND environment, DHS and our interagency partners developed the “Health and Safety Planning Guide for Planners, Safety Officers, and Supervisors for Protecting Responders Following a Nuclear Detonation” and accompanying quick reference guide. This guidance is intended to aid in preserving the health and safety of response personnel in order to sustain lifesaving and critical infrastructure support for the duration of the emergency. The First Edition planning guidance summarized recommendations based on what was known about the consequences of a nuclear detonation in an urban environment extrapolating from the experience base of nuclear weapons testing. It provided recommendations based on existing knowledge and existing techniques. The Federal government immediately initiated ongoing studies that have provided more robust and comprehensive recommendations. Some recommendations in this Second Edition planning guidance are updated or expanded to capture recommendations that have been drawn from these studies. Most notably, a chapter has been added to address public preparedness and emergency public communications. This document uses a notional 100 minute timeframe to provide technical recommendations on field operations, public messaging, and response coordination. The Nuclear/Radiological Incident Annex (NRIA) to the National Response Framework (NRF) describes the policies, situations, concepts of operations, and responsibilities of the Federal departments and agencies governing the immediate response and short-term recovery activities for incidents involving release of radioactive materials to address the consequences of the event. 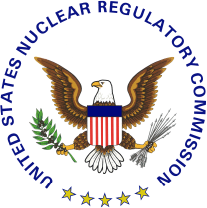 Federal Register Notice of Final Guidance for Planning Guidance for Protection and Recovery Following Radiological Dispersal Device (RDD) and Improvised Nuclear Device (IND) Incidents. 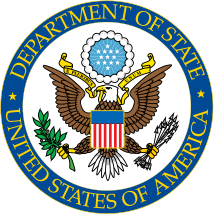 Through the management of the Radiation Emergency Assistance Center/Training Site (REAC/TS), the Oak Ridge Institute for Science and Education (ORISE) positions the U.S. Department of Energy (DOE) as an international leader in emergency medical response to radiation incidents. National Nuclear Security Administration (NNSA) Homepage. Recognition, Evaluation, Control, and Compliance. The National Nuclear Security Administration (NNSA) maintains and enhances the safety, security, reliability and performance of the U.S. nuclear weapons stockpile without nuclear testing; works to reduce global danger from weapons of mass destruction (WMD); provides the U.S. Navy with safe and effective nuclear propulsion; and responds to nuclear and radiological emergencies in the U.S. and abroad. - Recovery of Sea-Disposed Chemical Warfare Material pamphlet - Lays out a sequence of personal protection, disposal, and after-event monitoring and provides guidance regarding what to do starting from the point that a munition was inadvertently brought aboard. The document concisely covers things important to protecting the health of fishermen who could encounter these munitions: disposal overview; protective equipment donning and doffing; and 9 step emergency disposal procedure. - Emergency Response Card: Information for First Responders - A poster that concisely lays out the 9 steps of emergency disposal procedure at sea. - Signs and Symptoms of Exposure to Sulphur Mustard - A “take me with you to your healthcare provider” card with useful information about signs, symptoms, and chemical testing. 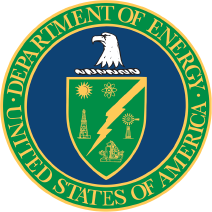 Two studies were performed by the Environmental Protection Agency's (EPA) Environmental Response Team (ERT) with the assistance of the Scientific, Engineering, Response and Analytical Services (SERAS) contract program to further the knowledge base for those responding to oil discharges that pose a threat to human health and/or the environment. 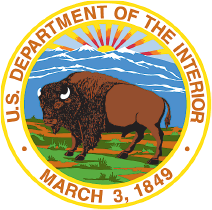 While significant testing has been performed by different organizations on crude oil produced from the Bakken formation, the testing is generally comprised of standard petroleum characteristic analyses and characterization for proper transportation based on Department of Transportation (DOT) classifications. The data from these testing programs have provided critical knowledge for classifying and understanding standard properties of hazardous materials - in this case, a light, sweet crude oil. The primary purpose of these Pilot Scale Studies was to determine air concentrations, under observed meteorological conditions, of benzene in Bakken Crude following spills to water. The resulting information helps to inform initial decision-making and thereby better protect workers involved in a Bakken Crude Oil release response. 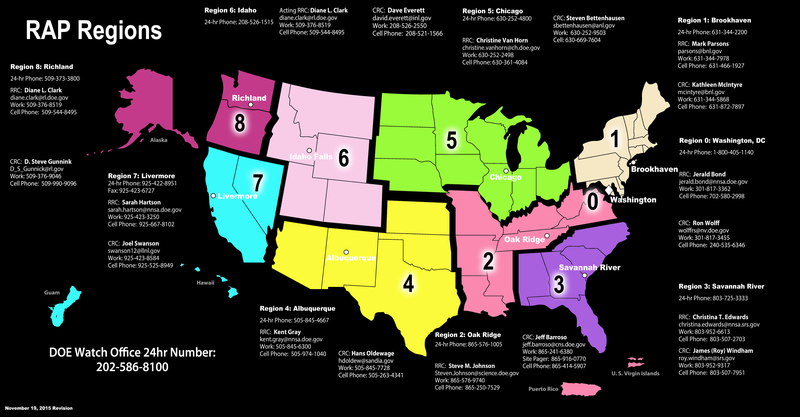 ICCOPR is a 15-member Interagency Committee established by Title VII of the Oil Pollution Act of 1990 (Section 7001). ICCOPR was established to: "...coordinate a comprehensive program of oil pollution research, technology development, and demonstration among the federal agencies, in cooperation and coordination with industry, universities, research institutions, state governments, and other nations, as appropriate, and shall foster cost-effective research mechanisms, including the joint funding of the research."